​The efficient flow of goods through Canada’s waters is essential to our economic success. The proficiency and safety of logistics chains and cargo operations is a miracle of our modern world, but the real strength of the maritime industry – both domestic and foreign – is its people. Due to the intensely global nature of shipping and the efficiencies to keep costs down, crews of ships can feel the heaviest pressures of the sector. Industry, labour, and government stakeholders continually dialogue to safeguard the welfare of seafarers, notably through the ratification of the Maritime Labour Convention, 2006. 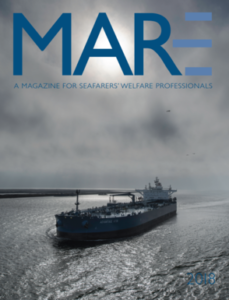 This one-day seminar gathers a wide network of those interested in seafarers’ welfare in Canada to expand the conversation and cultivate a network of support for the benefit of seafarers.